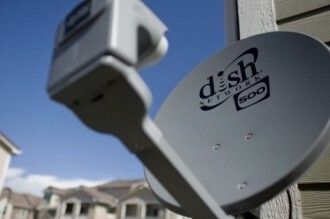 Sprint is reportedly interested in striking a deal with satellite television provider Dish. The agreement would benefit both parties as the wireless carrier would gain access to Dish’s unused mobile spectrum while the television provider would be permitted to sell mobile phone service over Sprint’s Nextel network, according to a recent report from Bloomberg. A couple of unnamed sources told the publication that Dish has been interested in jumping into the mobile phone game for quite some time but they didn’t want to have to build out their own network. The television provider would then be able to offer phone service, likely at a discounted rate, to their 14 million monthly subscribers. Under the agreement, Dish would either pay Sprint a fee to use their network or perhaps the duo could split revenue for customers that sign up for a Dish mobile phone plan. Such a deal was allegedly discussed in recent months although both Sprint and Dish declined to comment. Dish did express interest in such a deal, Bloomberg said, but they won’t make a decision on anything until the Federal Communications Commission rules on using their airwaves for mobile phone usage. That decision could come as early as this week as the FCC will discuss it on December 12. According to CNET, the chairman of the FCC said he would approve Dish’s request to use their airwaves as a wireless network last month but of course an official decision is still pending. AT&T and Google are also interested in working out a deal for access to the spectrum.